Are you looking for a ghost? 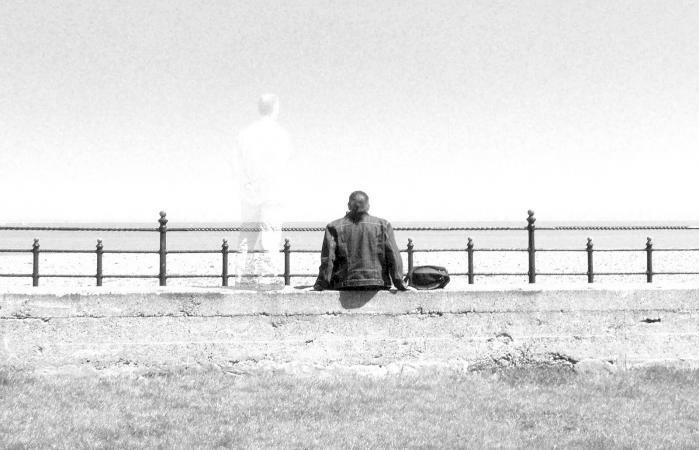 People hope to find evidence of spirits for many reasons, including to determine whether ghosts are real, to feel more comfortable about dying, to find comfort after losing a loved one, or because of a past paranormal experience. You can improve your chances of experiencing a haunting by knowing where to look. Of course, one of the easiest ways to look for ghosts is to visit famously haunted places, such as haunted amusement parks, haunted schools, or haunted hospitals. However, these places often charge a fee to visit, they are often crowded with all sorts of ghost seekers, and their stories may be exaggerated or false. Looking beyond these well-known haunted places may offer a lower key option to heading out to places inundated with paranormal seekers. Contrary to what you see on television, ghosts aren't just restricted to old, run-down houses or places where a lot of people have died or a tragedy has occurred (although they may be there). Spirits and spiritual energy can be anywhere, from the brand new McMansion just down the street to the spooky-looking cemetery you pass when you drive your kids to school. Make discreet (or not so discreet) inquiries. Ask people in your neighborhood if they've had odd experiences anywhere or heard any ghost stories about the area. Research online or visit your local library and learn the history of your neighborhood. Look for interesting information about things that happened there, such as emotionally charged events, large-scale tragedy or illness, or locations that have significant history of some type. Even if the original building that had the history is gone to be replaced by a modern building or home, the energy may still remain with the land. Some places are more likely than others to be haunted, although just because they meet the criteria doesn't mean ghosts will be there. Conversely, the fact that a location fails to meet the criteria doesn't mean there won't be any ghosts. Museums, antique stores, cemeteries, and second-hand stores or consignment shops all have older artifacts that have belonged to and been used by others. Many of these old objects carry with them the energy of their former owners, especially if the objects were much loved or present when something emotionally significant occurred. Therefore, places with many of these objects (including homes with a lot of antiques) may be more likely than others to have a spirit or two. Significant emotional energy can leave an imprint on the buildings and land where it occurred. For example, one of the reasons Gettysburg may be so haunted is because of the sheer volume of emotional energy expanded in battle. While it doesn't necessarily have to be a battlefield or the site of a tragedy, if it's a place where there was great emotion, such as a hospital, church, former "poor farm," mothballed naval ship, school, former prison or jail, or even some place that was special and joyful for the people there, it may be more likely to have residual energy that manifests as a ghost or haunting. For instance, many ships, such as the RMS Queen Mary in Long Beach, California, are haunted because there was both great joy and tragedy aboard. Psychics and paranormal investigators often notice that water appears to conduct paranormal energy. Therefore, looking near any larger body of water or moving water, such as near a river, large lake, or the ocean, may be a good place to discover paranormal activity. This doesn't mean that every beach in America is haunted, but having a large body of water or moving water nearby can increase the likelihood hauntings are present. There's no need for it to be dark when you look for ghosts. If people report experiencing activity at high noon, that's when you should go seek it. While looking for ghosts can be an exciting pastime, it's important to be respectful, both of spirits and the living. Ask for permission before entering private property, don't trespass or vandalize, be courteous with other people and spirits in public spaces, and always follow any applicable rules or laws. Then, enter spaces with an open mind and observe with all of your senses. In doing so, you just may have a paranormal experience.